While banks struggle to realize the actual loopholes in their security, ill intentions continue to accomplish their objectives. Behaviour analytics is one of the most recent buzzwords in enterprise cyber security, with more than 35 vendors competing for customers, according to security analysts. However, a sharp entrepreneur will be able to separate the rainmakers from the pretenders. neoEYED has taken the game to the next level by diving deep into the behavioural analytics section. Truth be told, OTPs are not safe anymore, especially for payments. Unfortunately, even NIST (National Institute of Standards and Technology) recognized their fragility. Biometrics should be the key to enable fast and secure payments, but the implementation methods today don’t add up to any real security. Adding credibility to this statement, Alessio Mauro, CEO & Co-Founder at neoEYED, recalls that a group of researchers at FireEye, 2 years ago, succeeded to demonstrate a kind of attack that is able to steal the fingerprints of the users, remotely, by infecting an Android device. This indicates that if such operations go mainstream, businesses can kiss goodbye to security and their business. Relying on many biometric factors at the same time can help; if one fails or is compromised, the system can still rely on the other ones to authenticate a user. Bringing this concept of ‘behavioural’ recognition, neoEYED is vouching for major disruptions in the security market. The company introduced a new invisible layer of security that can be added to an App to recognize the users based on their behaviour. One of the most important fraud, enterprises are seeking protection for,is account takeover (ATO). In cases when the password is stolen or foolishly shared, behavioural analysis can be deployed to recognize the owner entering the password. Following this, the company gets an alert and prevent the access from the malicious user. The team at neoEYED dug deep only to discover that a mobile phone is able to recognize a user in a 100 different ways using the ‘behavioural traits’. The traits usually involve the way an individual interacts with the phone and similar other actions. neoEYED created a ‘behavioural AI’, an AI, working at the app level, that discretely looks at the behavioural data of the users and recognizes them without prompting the user to do anything at all. The user just has to use the application as he/she would normally do. Alessio explains that it’s like an OTP, a very long password, that is always changing, and one never has to type it.“We add this ‘behavioural-fingerprint’ to any transaction so that we are able to detect if this is the authorized user or an imposter up to 99 percent of accuracy”, adds Alessio. 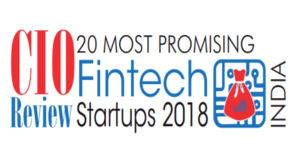 The security player has won multiple innovation awards from various well-established organizations such as NPCI, MasterCard, RBL Bank, IBM, FIS and PwC. Presently under discussions to enter ventures with banks, neoEYED envisions a new kind of assistant-AI, like Alexa,or Siri, trained with the sole purpose to protect in the real and digital world.